Darn, darn, double darn. 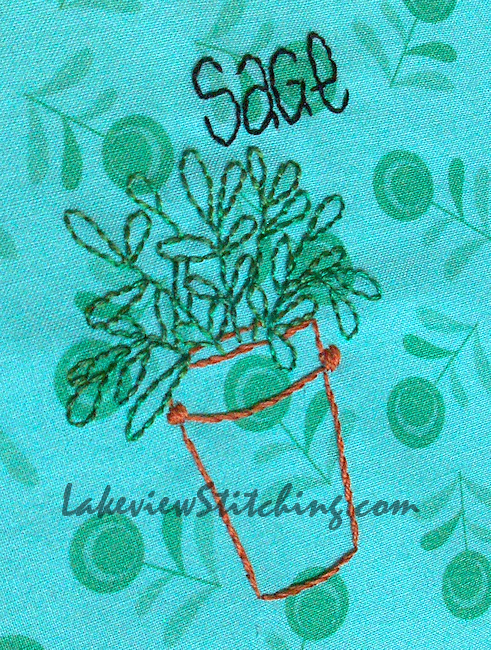 I'm rolling along, sewing my circles for last week's new project, Jacks and Cats, when I catch a glimpse of a familiar project in the Sweet P sidebar, which takes me to Kaaren's blog, The Painted Quilt. 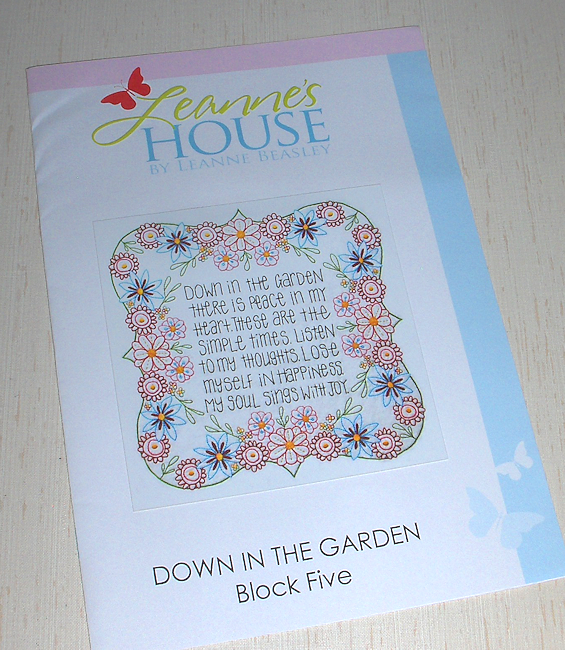 The familiar project is Down in the Garden by Leanne Beasley, which I bought at the same time as Best Friends Forever (and Scandinavian Rose too, which is still in my stash), and which I have been working on now and then for the past nine months. I showed it to you here, without properly introducing the project. There's been a lot of waffling since then! I said as much to Kaaren in the comments, and she encouraged me to just start anyway. I sent her a considered reply, explaining that I had just started a new quilt, and that although it was tempting, I could not possibly pick up this one too. But here I am! With another new project to officially add to the books. 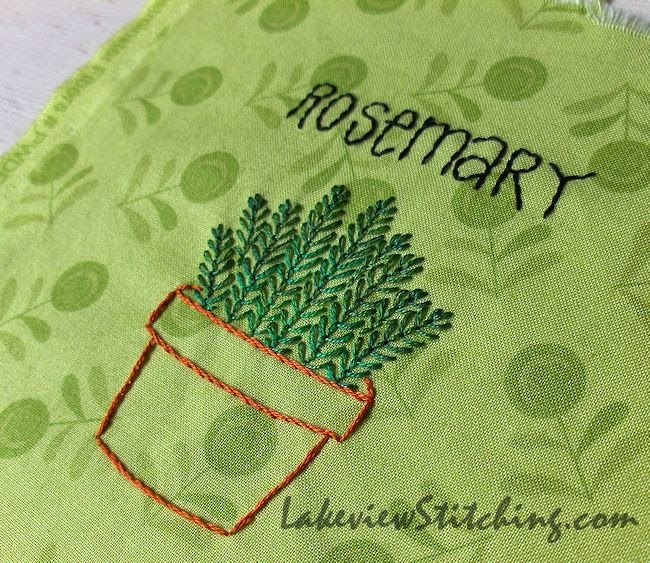 This summer I did most of the herb pots (two are left) that are scattered around the quilt, in addition to the Dresdens that I previewed back in March. I have used the same floss for all the herbs, DMC 4047 from their Color Variations line. 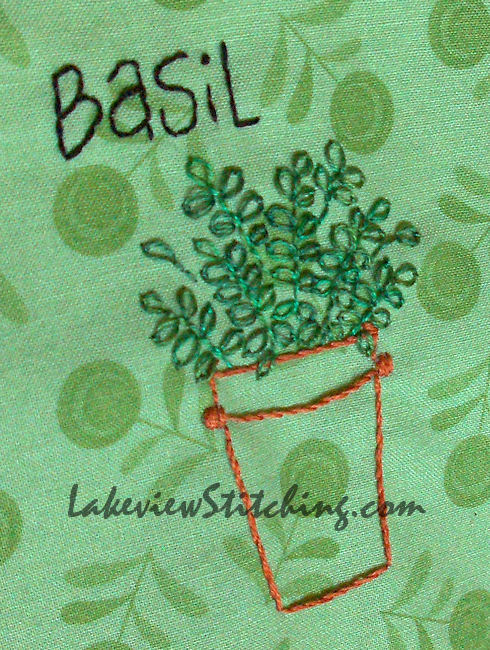 I tried to differentiate the herbs by using different stitches -- fly stitch for the rosemary, stem stitch for the chives, round detached chain stitches for the basil, and backstitch on the sage. I've been thinking about it constantly since I saw Kaaren's blog post. She has started with Block Five, which has been the source of all my angst. Sometimes decision paralysis is the biggest obstacle for me. Now that's decided, maybe things will start to move along! 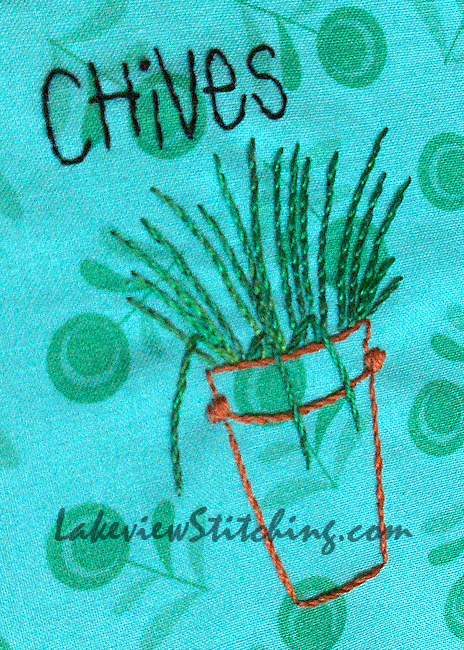 And hey, since it's still Wednesday, I'll link up with WIP Wednesday at The Needle and Thread Network as well. I understand decision paralysis! Great quotes - really great quotes. Well done you! It will be a great quilt. I tend to think that you are a good decision maker, Jillian, from all the work you get done! Thank you, though, I think the pastoral tone of the quotes will be just right. Yay! I'm so happy that you decided to stitch along with Julie and I, no pressure intended or implied. *wink* Let's just have fun and enjoy the journey. I absolutely LOVE the quotes that you've chosen. How apropos for this project. I've added a few bees here and there in my altered line drawings...more about this in a separate email. this looks an interesting project you have started it is so hard to resist all the things everyone is doing! 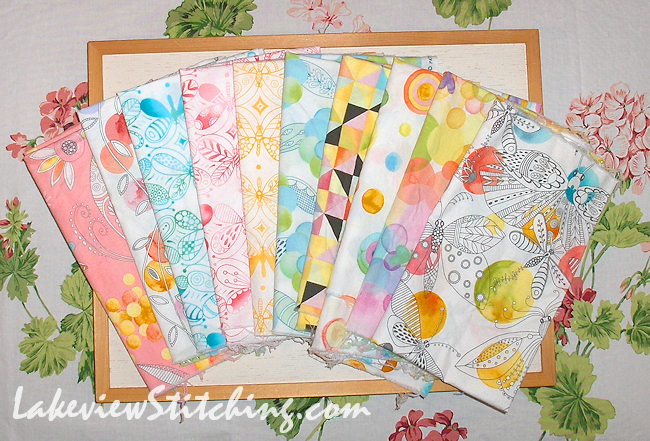 Beautiful fabrics, thoughtful quotes and a new project. All very inspirational. The progress will be fun to watch. Thanks very much! Hopefully there *will* be progress, now! Love how you have personalised the quotes and the fabrics look fantastic! Have fun stitching it Monica.